When you think of Lamborghini’s released car models, you immediately think of works of art on wheels. With some being even more special than the rest on account of being produced in limited numbers, it is safe to say that most people would want to admire such a vehicle and not damage it in any way. Unfortunately this was not the case for a Belgian Lamborghini owner. 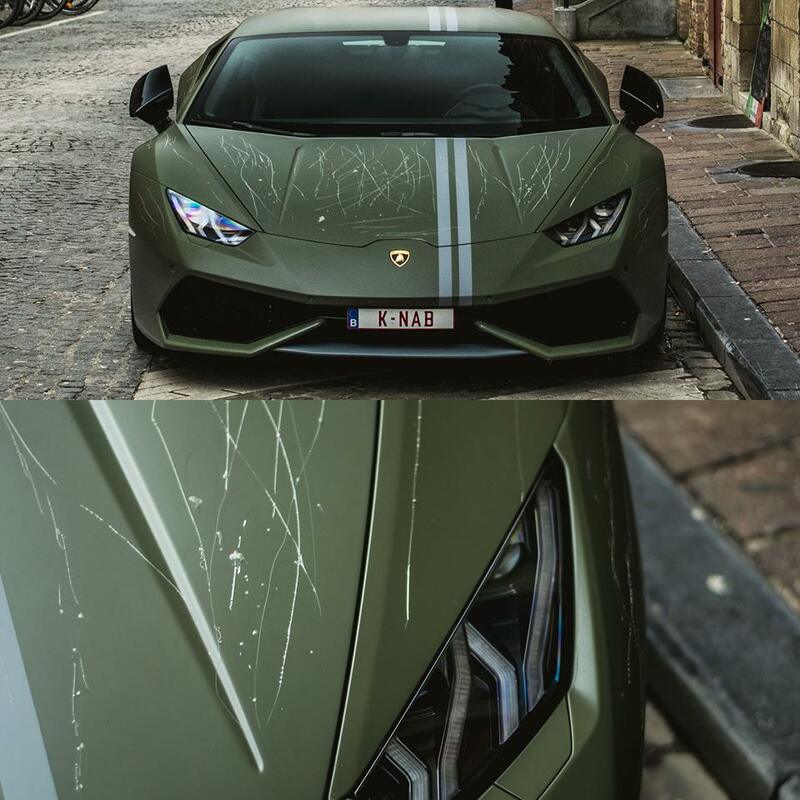 The owner of a Lamborghini Huracan Avio, one of 250 produced models, had his car completely vandalized by someone that probably didn’t know or simply didn’t care about the importance of this particular vehicle. The atrocity happened in a Bruges, a quiet town in Belgium. The owner has most likely announced the police, which will investigate and ultimately find the culprit. The car itself was scratched on three different sides. The owner of the car will most likely have a hard time fixing the vehicle. The bill for the done damage is going to be huge. The Lamborghini Huracan Avio is a limited edition variant of the Huracan, inspired by fighter jets. The car will add new elements to the original Huracan design. The side mirrors, the side skirt and the front lip of the vehicle have registered slight changes. A stylish double stripe was added to the vehicle’s top side, running from the front of the vehicle to its back. Fighter jet badges were also added. The Lamborghini Huracan Avio is definitely a car that looks menacing. With only 250 models produced, owning a car like this is definitely something to dream about. 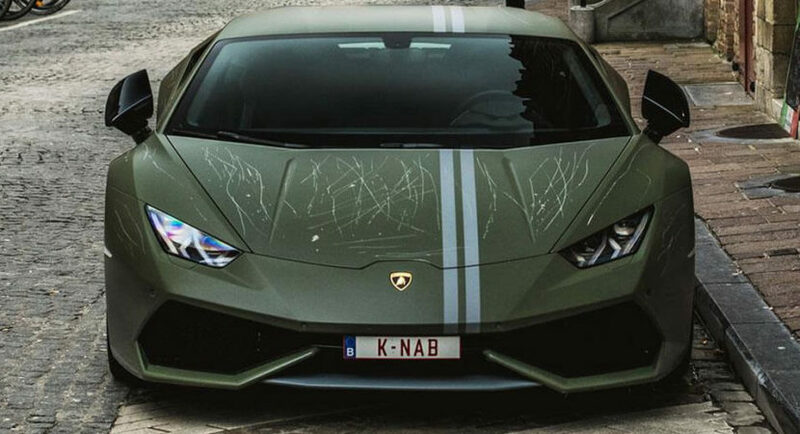 For the owner of the vandalized Huracan Avio, this dream turned into a nightmare, as he discovered his car violently scratched. The fact that the vehicle is part of a limited edition series only makes the act look worse. The best thing that could happen is for the culprit to be caught, in order for him to be charged with the bill for repairing the damaged Lamborghini. No matter how you look at it, the damaged has been done. The only thing one could expect at this point is for the problem to be solved as fast as possible. There is definitely a lesson to be learned here. If you own a car as rare as this Lambo, then you should definitely keep it indoors, secured. Showing your car to the general public may sometimes result in such cases, where instead of appreciating the ride someone decides to ruin it for everybody without actually having a solid reason for doing so.